When attempting to use the "Assign HydroID GW" tool, there is an error message saying . I'm just getting started with AWGW and this seems like a pretty basic error. What am I missing? 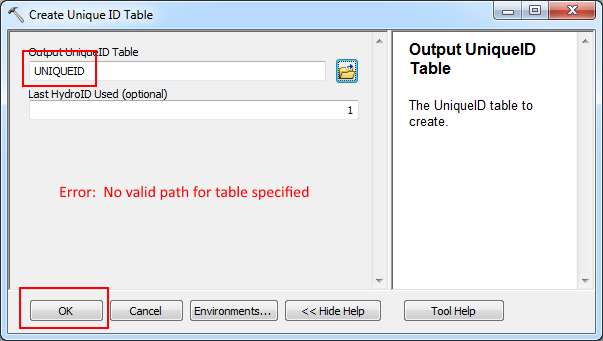 Are you giving the tool a valid path to the UniqueID table you wish to create? It would help to see the text above the red text in your attached screenshot. 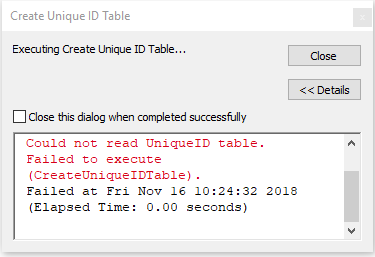 If you simply pop open the Create Unique ID Table tool and run it without changing anything, you'll get the same error as you show. 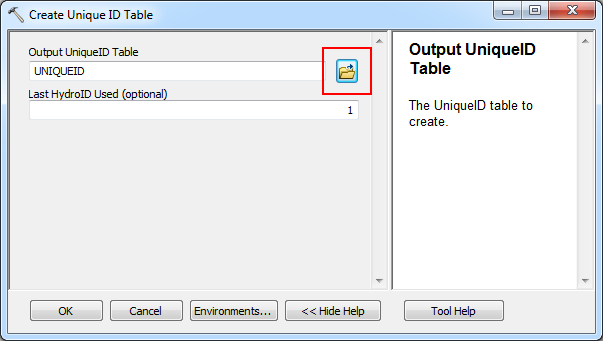 What you need to make sure is that you browse to an existing g eodatabase, and inside the geodatabase, give it the name of the table you want. 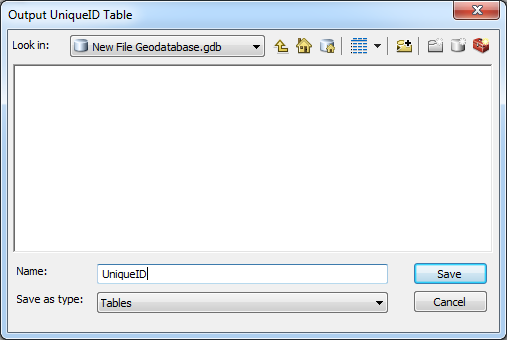 Browse to an existing geodatabase (below, shows a new file geodatabase), and enter the name you want to give the table, then you can run the tool.